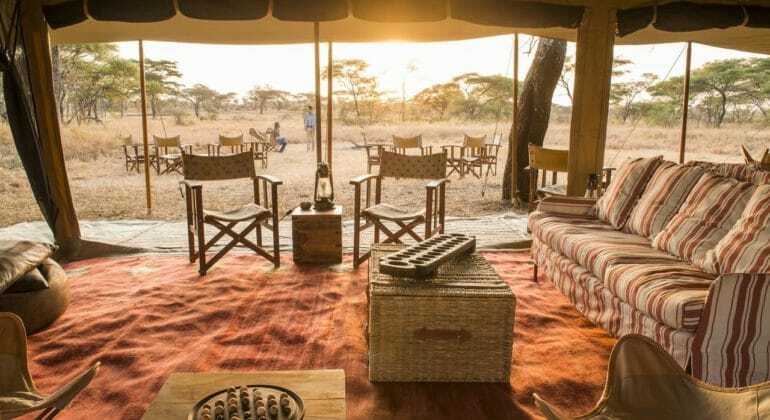 Serengeti Safari camp moves seasonally 4 -5 times a year to follow the movements of the migration, but it will not move during your stay. 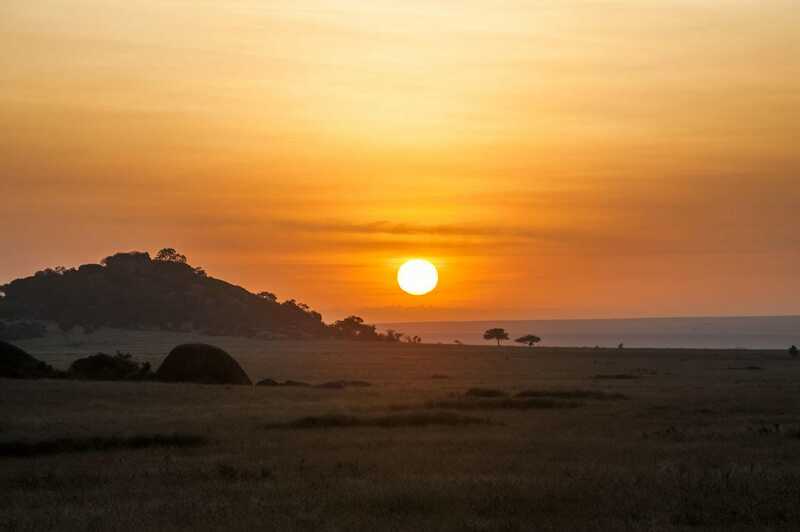 Camp movements are pre-planned in an effort to be within reach of the wildebeest migration, but this cannot always be guaranteed given the unpredictability of nature and weather conditions. 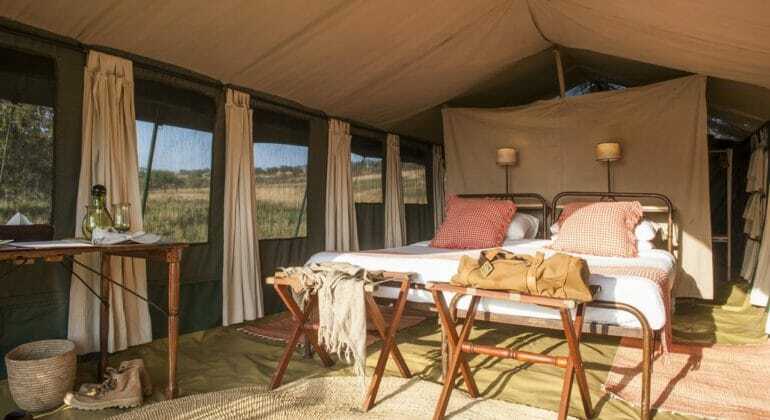 6 large walk-in safari tents, with dressing room area separating the beds from the new eco-flush loos and safari bucket showers. 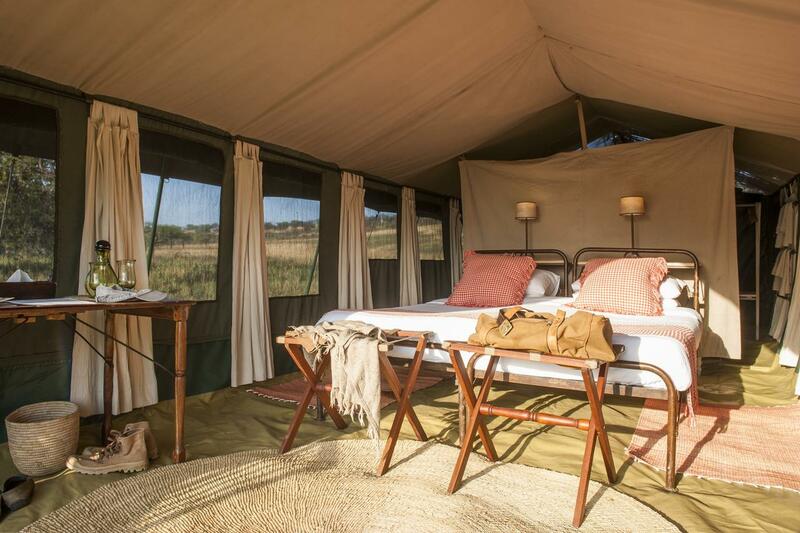 There is a separate lounge and dining tent and a traditional safari fireplace for sundowners. The family tent has two en suite bedrooms and adjoining sitting area. WHY CHOOSE SERENGETI SAFARI CAMP? 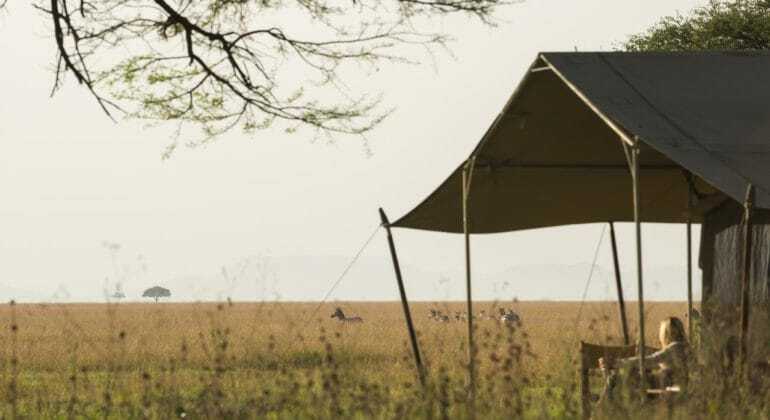 With only six canvas tents and a roomy open mess tent there is plenty of space to appreciate the vastness of the Serengeti. Camp is not short of creature comforts, but you will find nothing that is not absolutely necessary to ensure your comfort. The wildebeest migration is truly something to behold. 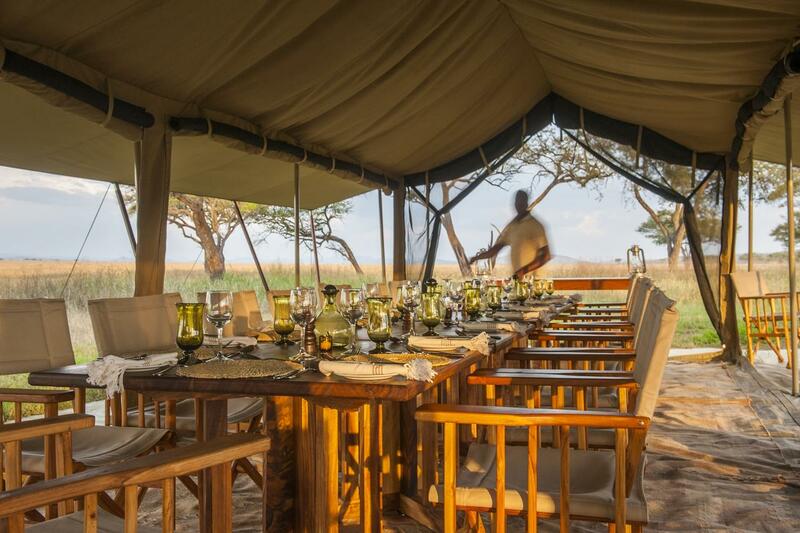 Nomad guides are experienced and knowledgeable and great company on safari. Rates are Per Person Per Night unless otherwise specified. 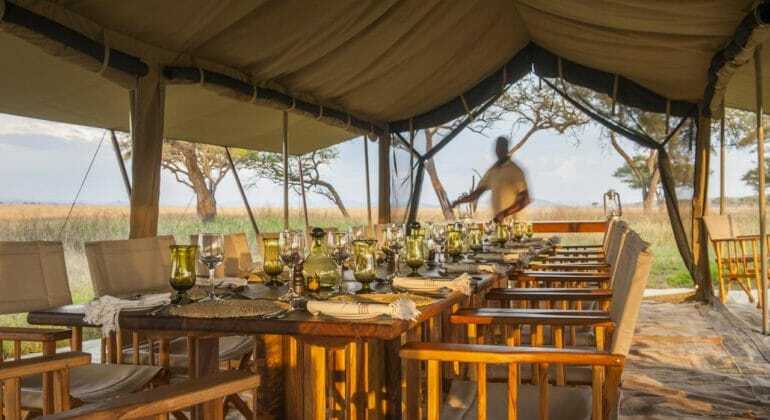 Serengeti Safari Camp rates include: Fullboard accommodation, activities on a shared basis: game drives, bush picnics; scheduled road transfers to/from nearest airstrip; drinks (except champagne & premium wines); laundry. No walking available here but it is an option at Lamai Serengeti, Kuro Tarangire & Entamanu Ngorongoro (all seasonal). 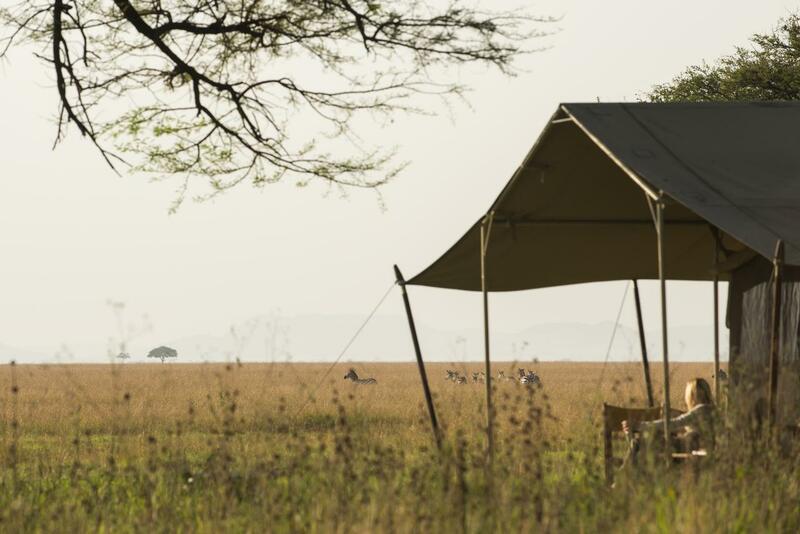 The minimum age at Serengeti Safari Camp is 8 years. 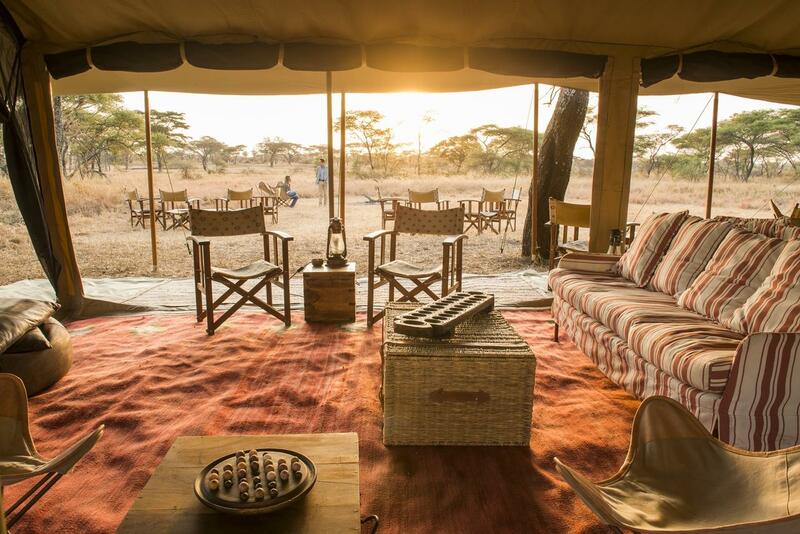 Read customer reviews and testimonials about Chalo Africa on an independent review site SafariBookings.com. Disclaimer: Chalo Africa Tours Pvt Ltd, with offices in India, Dubai, and United States (USA), is not liable for any errors or omissions. All pricing is indicative and subject to exchange rate fluctuations. Copyright 2019 - 2020. Chalo Africa Tours Pvt Ltd.